An ideal website to find the latest collection of Batman leather jackets and costume. From Batman Begins to the Dark Knight Rises, we have a wide range of Batman jackets and Batman varsity jacket available in leather and faux leather of your choice at a very low price with free home delivery. From Bruce Wayne to Tom Hardy we have it all. All the Batman leather jackets are professional design and productively manufactured at the reasonable price. High-quality material is used for stitching. Batman movie jacket has been worn in the warner bros movie Batman and the Batman costume has been worn by the famous Bruce Wayne and the latest was Ben Affleck. 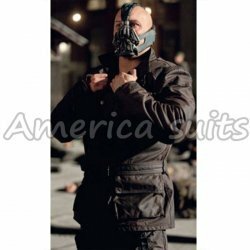 americasutis.com have all type of movie jackets and superheroes jacket.